Will Beauty’s Sale Mode Mimic Apparel’s Discounting Spiral? Prestige beauty is on the edge of a discounting spiral. — and the danger is that, like in apparel and home, the beauty world finds itself in a hard-to-break, perennial sale cycle. Sales first hit beauty during the Great Recession, when retailers, especially department stores, were looking for ways to drive foot traffic and started including beauty as part of their broader promotions. A decade later, foot traffic remains one motivation, but increased competition from Amazon and digitally native, lower-priced brands have ramped up pricing pressure. Average prices for prestige beauty products are “softening,” according to NPD executive director and beauty industry analyst Larissa Jensen. “A lot of it has to do with discounting, but [also has to do with] lower-priced brands entering the space,” she said. When it comes to store traffic or bumping up sales, discounts can work, experts agree. “It definitely drives traffic to stores,” Jensen said. “In April there was a shift in promotion with one of our retailers, and April was through the roof — but it’s only because they moved their promotional time period…May was soft,” Jensen said. Lower-priced competition and attracting people into stores are certainly two driving factors of current sales. But sources also said loyalty programs, which are frequently replacing or supplementing the former standard gift-with-purchase programs, are also a way of offering discounts — either through points systems or periodic coupons. The promotion environment today has advanced significantly from the days of the occasional Sephora VIB Rouge 15 percent off. 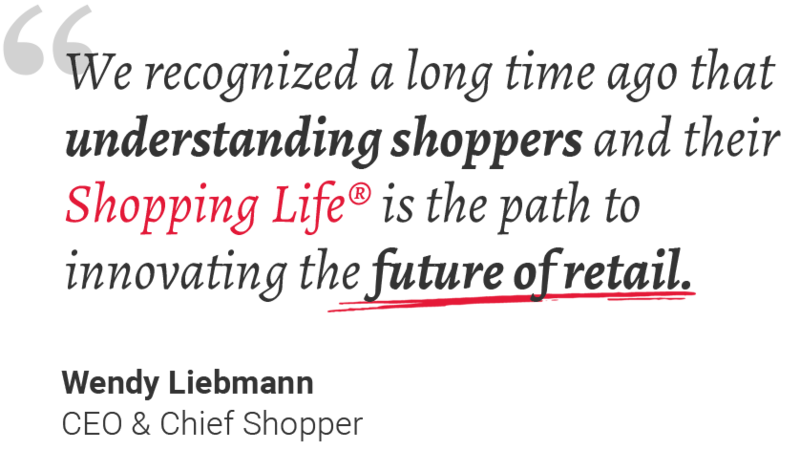 According to Liebmann, 2017 was the year department store discounting became “quite aggressive.” Then, “department stores, in particular, were feeling they weren’t as competitive because of Ulta and Amazon…and were doing more and more price-oriented promotion,” she said. products in an online sale in July, meaning products at all price points, from Kiehl’s to La Mer to Sisley, were available for less. Lord & Taylor, which has advertised sales online and in stores, recently posted 25 percent markdowns on select products from Estée Lauder and Bobbi Brown in the New York flagship. Nordstrom, in its anniversary sale, was discounting beauty more broadly than before. The retailer’s pre-sale, only available to Nordstrom card holders, featured about 150 more items this year than it had for 2017, according to a research note from Jefferies analyst Stephanie Wissink. Department stores aren’t the only ones discounting — Sephora and Ulta Beauty are also doing it. Industry sources said most of the time, the retailers are the ones taking the margin hit, but in some cases, retailers and brands negotiate a margin compromise. At Sephora, which has offered loyalty members the occasional 15 percent off in the past few years, is now offering all shoppers something called the Weekly Wow — advertised on Sephora.com’s homepage as a deal that gives customers “up to 50 percent off must-have beauty.” At Ulta, the New York store has a clearance section, which on one recent afternoon had products from Peter Thomas Roth, St. Tropez, Kopari, Julep, the Art of Shaving, Rituals and Cowshed crowded onto a multibranded shelf reminiscent of off-price retailers — a kit from the Art of Shaving was marked down from $30 to $21, and a three-piece lip kit from Julep was marked down from $34 to $23.80, for example. While retailers may be blamed for kicking off the discounting trend, it seems that now, everybody’s doing it — even the brands themselves. “This isn’t isolated to the retailers — it’s the brands too,” said Wissink, noting that never before has she seen a time when multiple brands in the Estée Lauder Cos. portfolio were broadly available at 20 percent off, which they were for parts of June. In an Instagram advertisement in July, Charlotte Tilbury advertised a summer sale, with products up to 30 percent off. That meant the brand’s normally $75 Filmstar Bronze & Blush Glow was now $52.50, and Radiant Glow Makeup Kits were $95.90, down from $137. These sales stand in stark contrast to the way the industry used to do business. In lieu of discounts, prestige beauty companies historically lured shoppers with GWPs, which generally included product samples and makeup bags. Now that samples are easily accessible online, GWPs are less alluring to shoppers than they used to be. Plus, over the past few years, GWPs have started to look almost like discounts, Wissink contends. She cited an example where a $40 purchase was rewarded with a GWP valued at $120. “When you get to that level, where you’re almost three-times GWP to the original value, that starts to become almost like a 30 percent or 40 percent discount,” she said. Then, loyalty programs — aiming to provide perks to their members — started to discount, too. “You can offer discounts, that way it incentivizes a purchase, rather than the small trial idea, or the GWP, or giving customers things they don’t want for free,” said Coye Nokes, a partner at OC&C Strategy Consultants. “Retailers are trying to inspire that loyalty [but they’re] not necessarily going to discount every product…they’re incentivizing you with overall points systems, something other than marking things down on a sale shelf,” Nokes said. Points and other perks — like early access to products or access to a community — also add value in a way that doesn’t including price pressure, Liebmann noted. At the end of the day, the discounts are a byproduct of an increasingly competitive beauty landscape, fueled by an influx of new brands and distribution channels and an increased consumer desire (at least on the part of Millennials and Gen Zers) to look good for Instagram. But the rapid growth of the industry in the past few years may not be sustainable — and that’s where the discounts come in. It’s either that or the beauty shopper has found something else to spend on, Wissink noted. “At least from a preliminary pivot, she’s not fully rotating yet, but she’s seeing other things that are interesting,” Wissink said, noting she suspects some of those beauty dollars may trickle back over to fashion. It’s still too early to tell if beauty is indeed headed down the same path as apparel and homewares, which wound up discounting so hard they reset consumers’ price expectations, experts said. “There are a lot of incredibly smart people in the beauty business who know better than to begin this journey on just discounting in an old-world way, and have many scars to prove it,” Liebmann said. “If we find in desperation the desire to drive traffic with discounting and desire to compete with Amazon with discounting, then the beauty business will spiral into a place that nobody wants it to be, and it will be very much reflective of what we saw in apparel.” Plus, beauty has one factor that apparel does not — replenishment. “In categories like hair and skin care and even in lipstick, mascara or foundation — you run out, so there’s an opportunity to get people to replenish. The question is, where do [they] replenish?” Liebmann said. Discounting to get that shopper, however, sets up internal year-over-year sales growth expectations that are hard to meet without annual promotions. If beauty remains a fast-growing category, the opportunity to “wean the consumer away” from promotions is there, according to Wissink. But “if [beauty] goes to mid- to low-single-digit growth rate, that will change the competitive dynamics around marketing and incentives and discount.